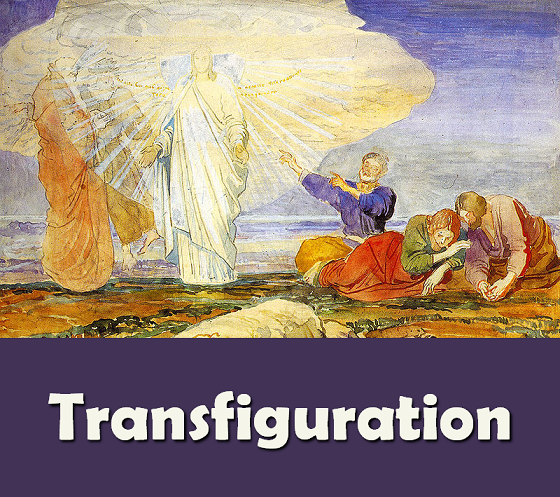 This hymn about the Transfiguration (Year A - Matthew 17:1-9, Mark 9: 2-10 and Luke 9:28-36) was written by American musician and (at that time) Roman Catholic priest Carey Landry (b 1944). It was recorded on Landry's Abba Father album, and first published in 1976. It does not appear to be in (m)any hymnals, but sheet music is still available (for purchase and then digital-download) from OCP. The song is set to an unnamed tune, also by Landry. This has a 3/4 time signature. In the key of F, the first few notes are A G B BA G G F A.
Shining on the face of Jesus. Shining on the face of the Son.